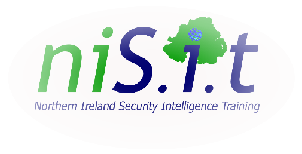 NISIT have designed and developed a unique range of Ballistic and Blast resistant buildings and structures for the worldwide security sector. The units are based on our Patent Applied for design which enables us to supply bespoke solutions based on our clients exacting requirements. By providing a complete secure envelope within which the location of doors, windows and all ancillaries are adjustable you can be certain that each structure will meet your local tactical and aesthetic requirements. Our units are designed to be moved using a forklift or small crane, giving further operational flexibility. They can be supplied complete with all your requirements including AC & DC power hook up, lighting, Data cabling, Air Conditioning/Heating and WC, ensuring that your operatives have everything that they require to be effective no matter how hostile the environment. Alternatively they can be supplied empty for your own internal fit-out. Our comprehensive testing programme has resulted in a product that can withstand up to 500 rounds of incoming fire per sq metre without penetration. Our unique blast resistant coating has been independently tested applied to a concrete block construction building: it withstood a 5000Kg TNT charge at a distance of 46 metres.